Subject: LongIsland.com - Your Name sent you Event details of "Adopt Love! 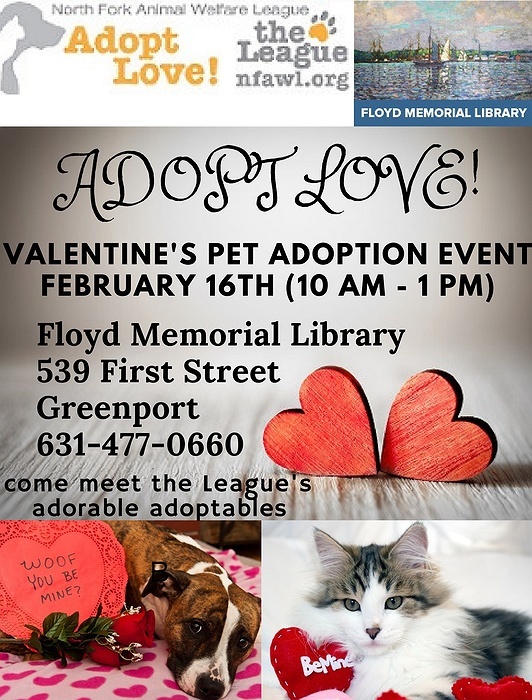 Pet Adoption Event "
Adopt Love! 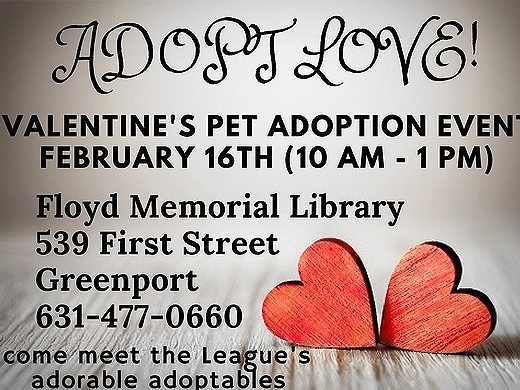 is the Valentine's inspired pet adoption event bringing together lovable animals with folks looking to add a new furry friend to their family.